Constructed in 1999, 633 Church St Richmond is a prominent eight-storey building that houses a restaurant on the ground floor and residential apartments from levels 2-8. The building features 84 reinforced concrete balconies which cantilever out on all sides of the building. 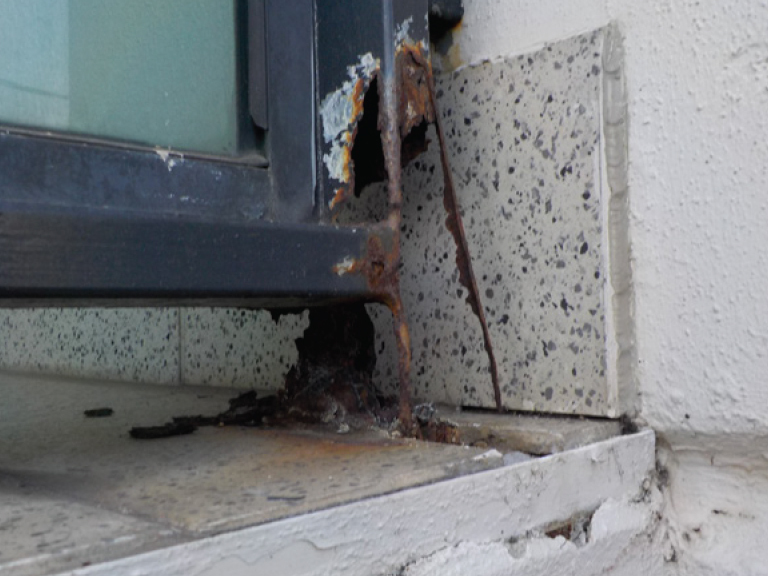 Major problems identified by the owners included storm water penetration into the apartments and through the balcony slabs and severe corrosion to the steel balustrade support posts. • Liaise with local council to obtain the necessary permits. • Ensure that the contractor’s works were performed in accordance with Infracorr ‘s specification. Testing included balcony slab Half Cell Potential mapping and Ultrasonic Thickness Testing (UTT) to the steel balustrade posts. Infracorr performed the investigations utilising its IRATA trained rope access engineers. No structural problems were detected. 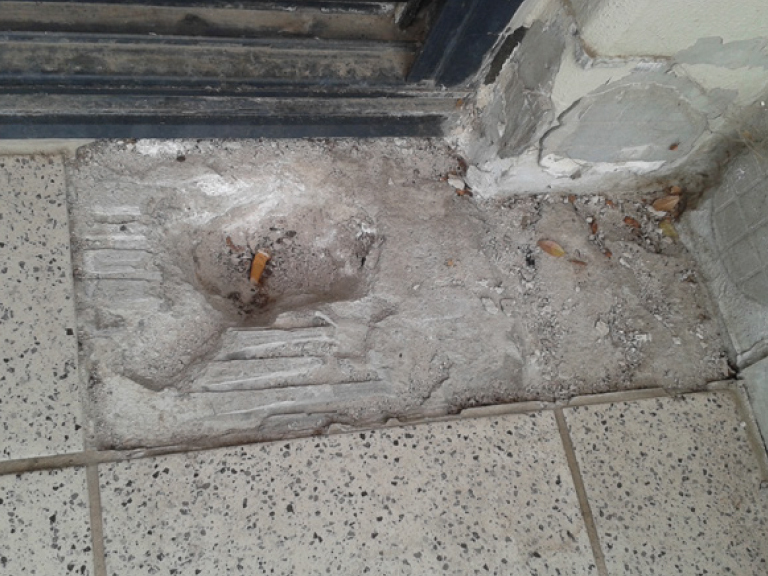 The investigations enabled the preparation of a design for the rehabilitation works. To ensure no recurrence of any water penetration, the design specified slab crack/joint sealing and two layers of cementitious membrane. The initial membrane was required to be applied to the balcony slab and the second membrane to be applied to the new grading screed to be constructed over the initial membrane layer. Special requirements at the slab/window ‘hob’ and at all slab/wall joints were detailed. Aluminium balustrading structural members were specified by Infracorr, with special waterproofing details required at the base of the posts. Stage 1: Commenced in May 2017. Demolition works confirmed the findings of the investigation that virtually no effective waterproofing membrane was present. Stage 2: The works commenced in September 2017 and are planned for completion by end of 2017. Infracorr’s inspections during the works indicated that the required quality is being achieved by the contractor, Asset & Rehabilitation Services.